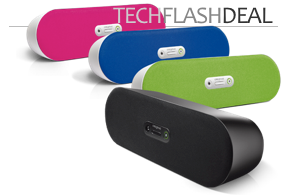 How many different iPhone, iPad and iPod Touch speaker docks does the world need? The tech industry seems to think it needs many hundreds. At least that’s the impression one gets roaming around CES 2011, where it seems everyone from the mega-electronics companies to the relatives of Bob Marley is coming out with an Apple iDevice dock. Curiously, the vast majority of these docks are designed under the assumption that the iPod/Pad/Phone is not inside a case. 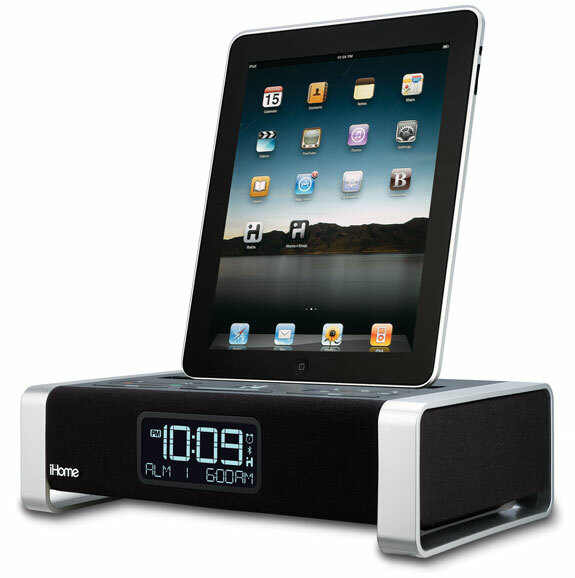 One exception stood out to us: the iHome iA100B. Spot Cool Stuff spoke with the iA100B’s design engineer who explained how his goal was to accommodate more than 95% of the cases on the market—a tough task given the bewildering variety of case sizes and types. To meet their goal, iHome included two key features in their iA100B: 1) A flexible connector that can be moved back & forth; and 2) a long removable rubber strip around the connector that can accommodate various case depths. To put the iA100B to the test, SCS tried docking our iPad with a Dodo Case—a large book-like item that folds out and surrounds an iPad in a bamboo housing. 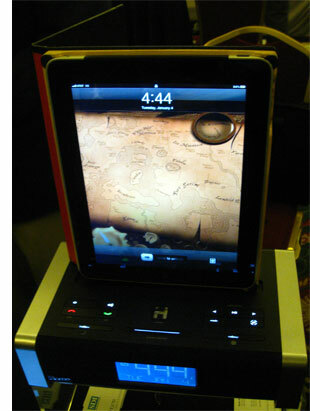 We’ve never seen an iPad dock we could use with the Dodo Case attached . . . until the iHome iA100B. (See photo to the right). 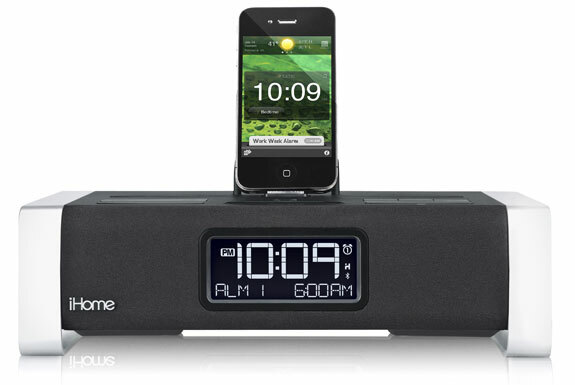 Note that the iHome iA100B is rather different from the iA100A. To spot the difference look for the elongated removable rubber piece at the top. The iA100B is currently available for sale at the iHome site with wide distribution expected in the coming months. i wish ihome got me up tomorrow pls…haha so, current obsessions: TUMBLR, ovenbreak, my iHome headphones, ice cream, and some more tumblr. gawd, i’m obsessed.